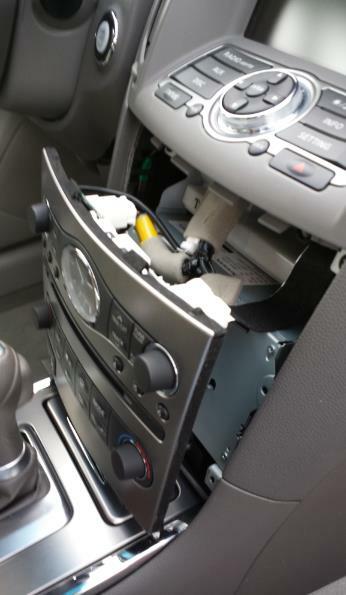 Warning: Never turn on the car before you connect all stereo wires back to the place. 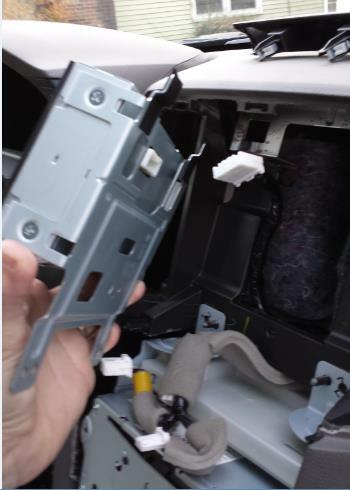 If you turn on the car before reconnecting back all the wires, the airbag light might go on. Now just carefully disconnect the four cables from the top of the control panel. 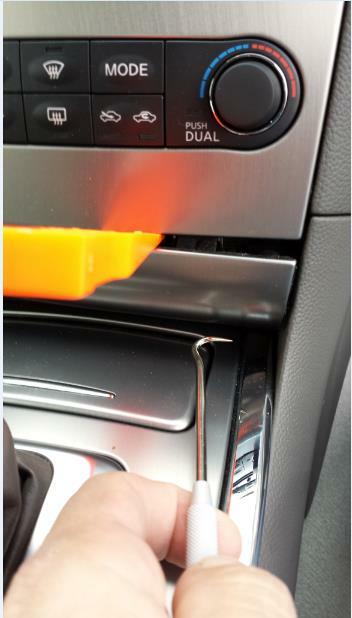 Be careful to squeeze the release clips in the right place so you do not break the connectors. This goes for all connectors from this point forward. 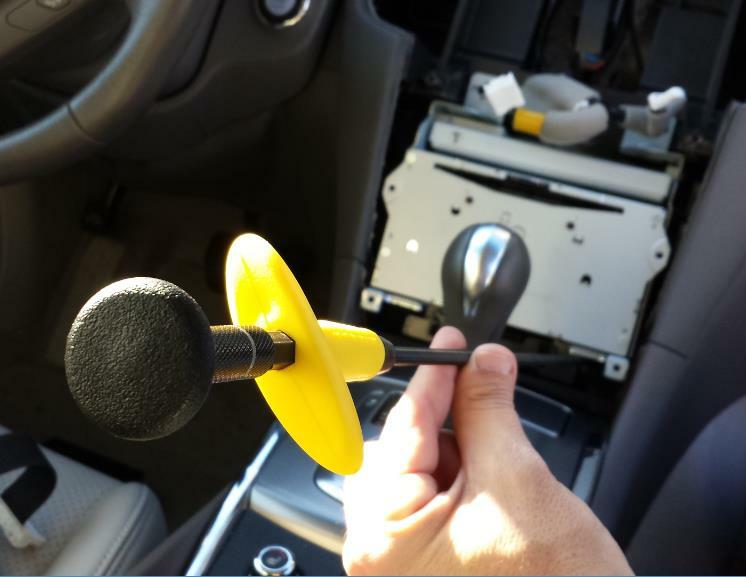 ...notice that I had to put the car in gear to get the gear shifter out of the way. Again, if I removed the shift and the center panel, this might have been easier. 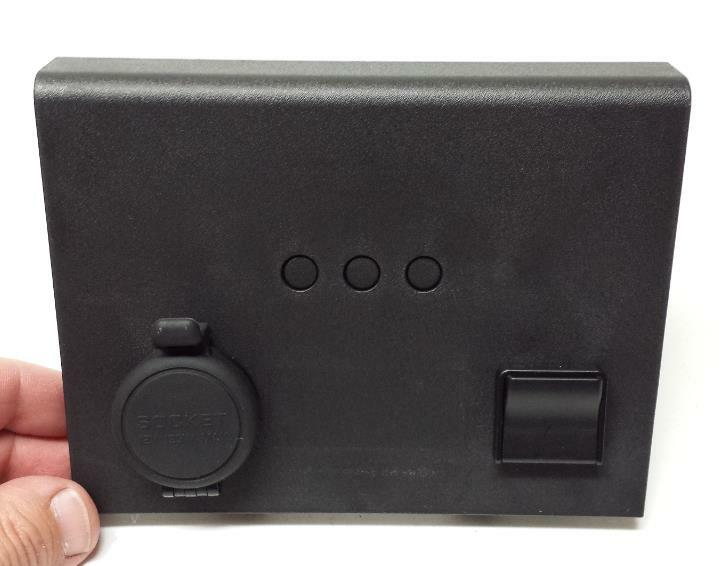 I do not have pictures of the rear of the A/V receiver and the hook up process. 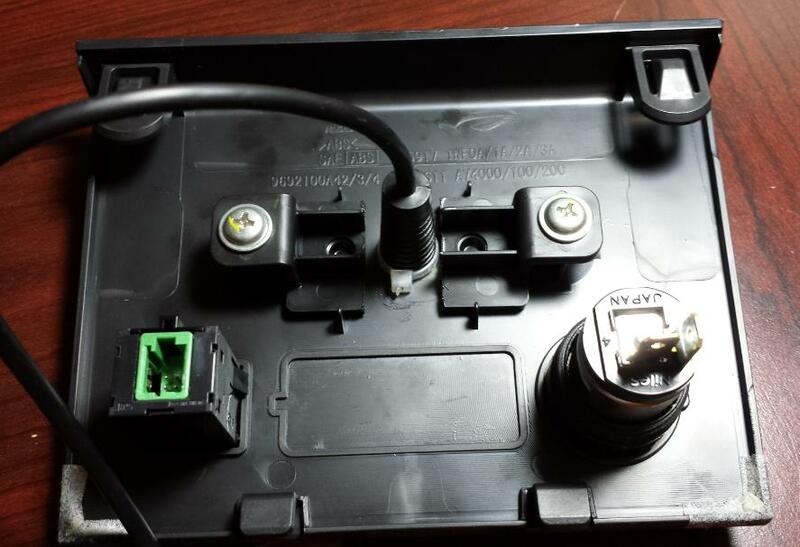 The hook up procedure is just like GROM includes in the box… You find the “SAT” connector that fits the “NIS02” cable that comes with the box, remove the factory harness connector, plug in the GROM version, find the power wire they refer to in the procedure and tap into it. That is basically it for the wiring. 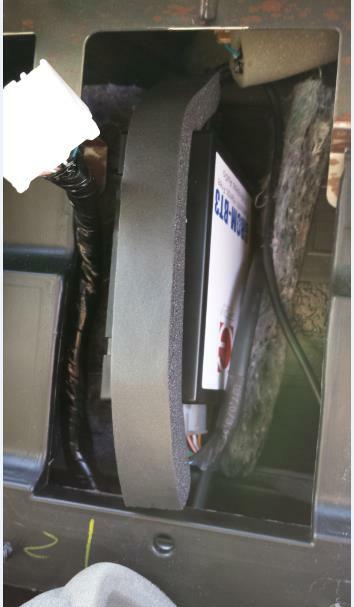 One thing to mention is that the GROM procedure says do NOT reconnect the SAT harness. This was a little confusing at first because you do have a female connector on the “NIS02” harness. 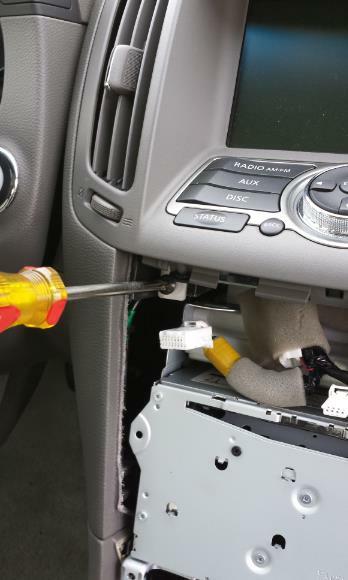 It looks like you are supposed to plug it back in, but the procedure said not to so I just let the two empty connectors dangle and it all worked. 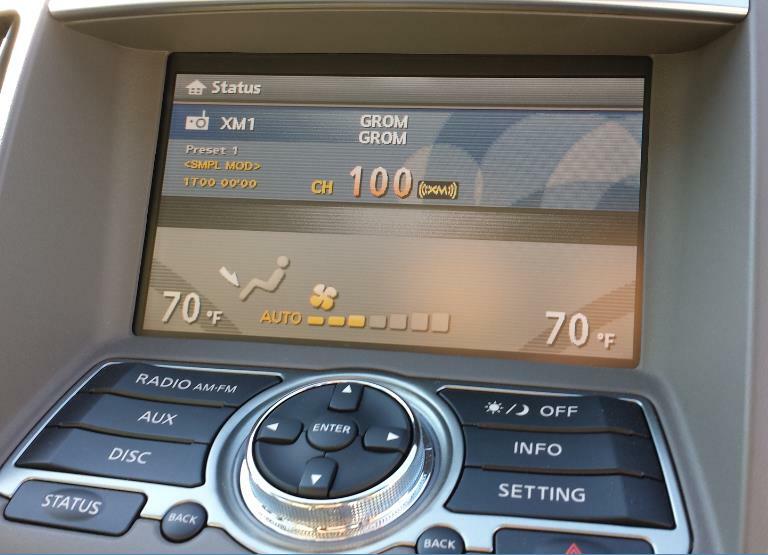 Naturally, as mentioned above, this GROM box basically takes the place of your factory SAT receiver. So if you have XM radio, this box will not work for you. Once you hook it all up you should put the display and the control panels in loosely and test everything. I was so happy when I saw the word “GROM”appear on the screen. I am still geeking out over here! 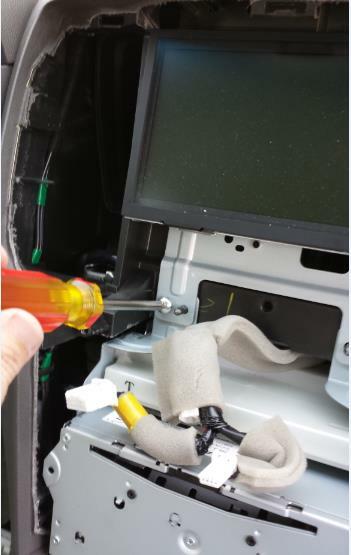 To get this panel out, you have to wedge something under the panel and pull up on it pretty hard until it pops out. There are no screws holding it, just “pawl” clips as they call them. 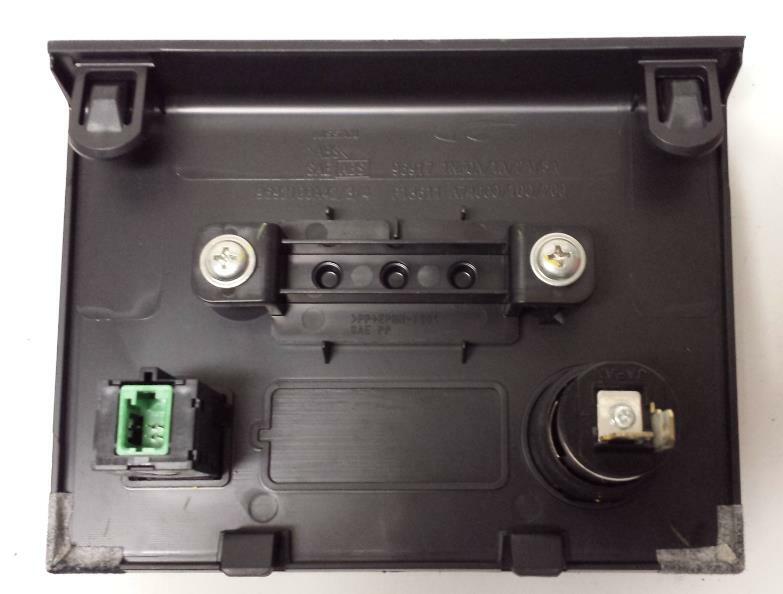 There is the panel to cover the holes where the factory analog inputs used to be. I tested it with a standard (gold plated) patch cable and it worked perfectly. 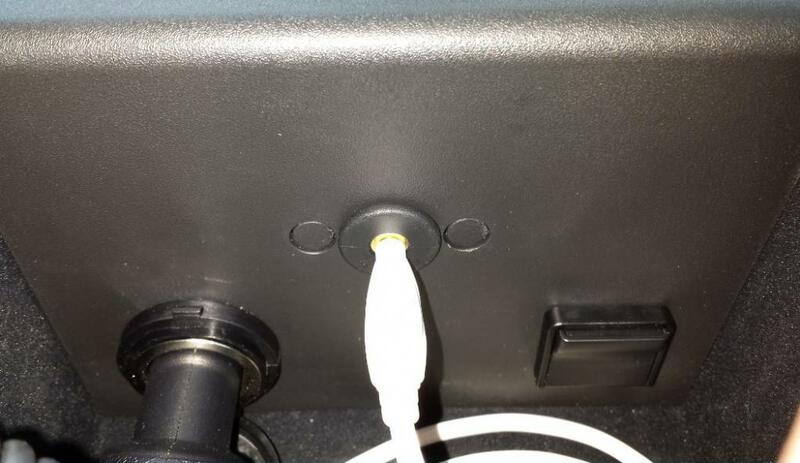 Important Note: Before turning on the car make sure that you reconnected all disconnected cables back to the car. 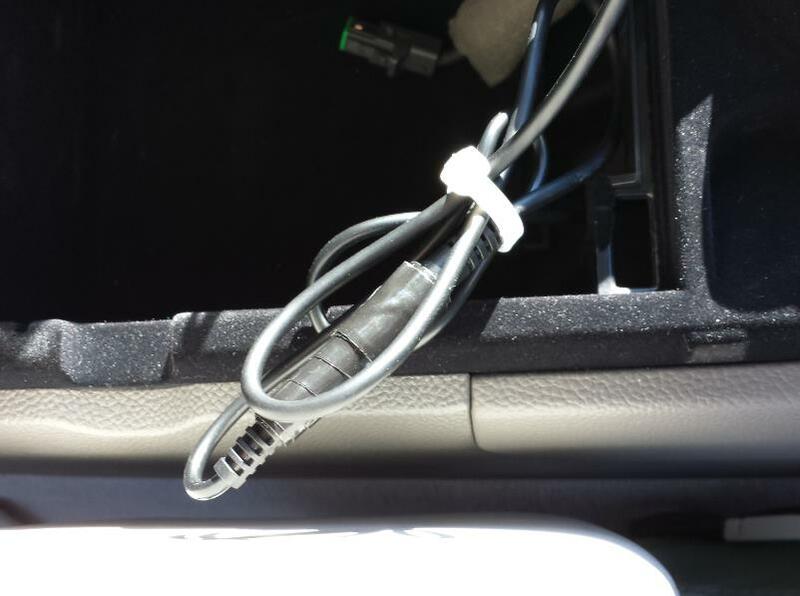 If you will not reconnect the cables before you turn on the car, the airbag light might turn on. 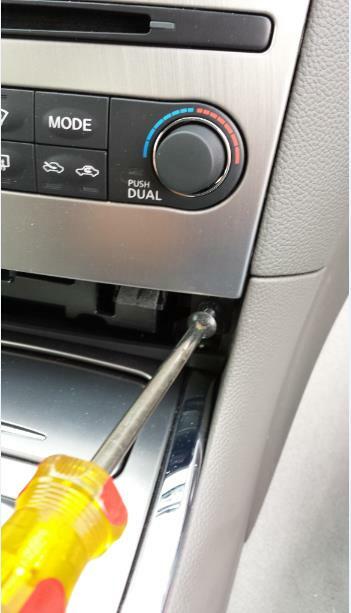 To reset the light simply turn the ignition to the on position, (you do not need to start the engine.) All the lights should stay on for their diagnostic check. As soon as the airbag light goes off, before it starts flashing, immediately turn the car off. Repeat this 3 or 4 times (turning to on then off) and the light should go away. If that does not work, search around the forums… you should find some help. This article is reposted by GROM with the permission of its respective author. All original punctuation and grammar are preserved. I have documented my install process here and I must emphasize that it is MY install process which is being provided here solely for example purposes. 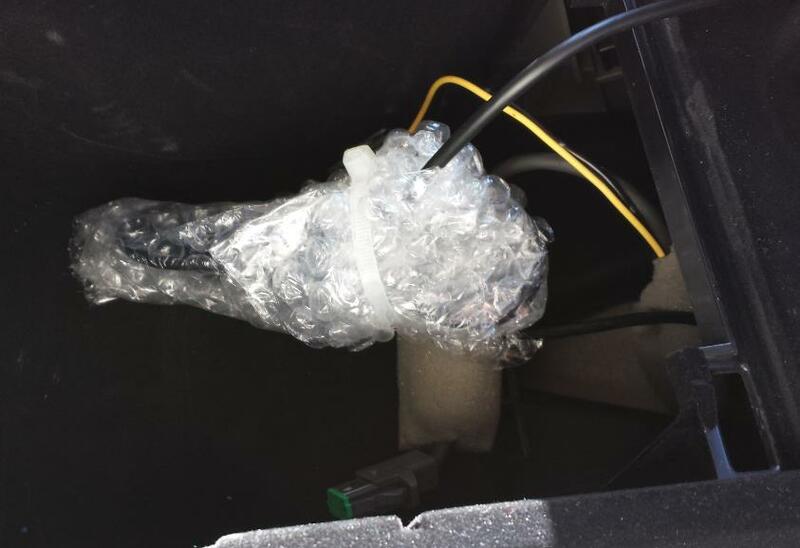 I am NOT responsible in ANY way if you choose to use any of my example process on your own car and: void the warranty, start a car fire, injure yourself and/or others, and/or break your car or yourself in ANY way. 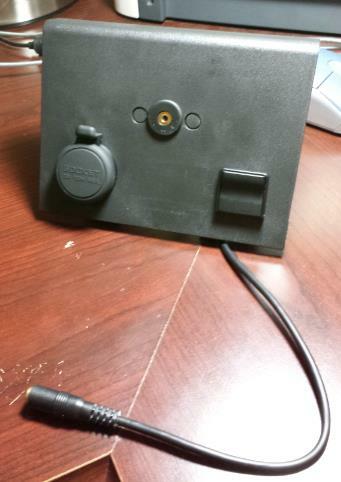 It is also important to note that this GROM box basically takes the place of your factory SAT receiver. 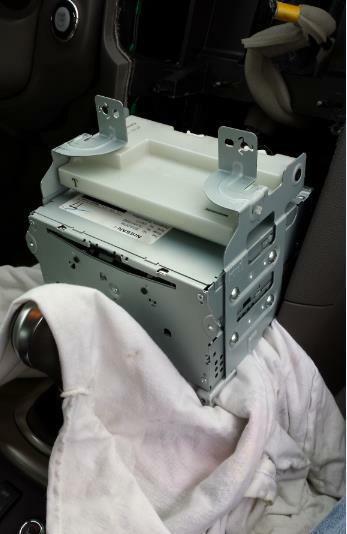 So if you subscribe to XM radio and you use the SAT receiver in your car, this box will not work for you.